I am deeply concerned about the Japanese government’s continued investment in coal and urge you to reject public financing for the Van Phong 1 Coal Power Project in Vietnam. Last September, Prime Minister Shinzo Abe urged the international community to take “more robust action” on climate change, to reduce emissions from infrastructure and to put promises into practice. Prime Minister Abe and the Japanese government must put these words into action. 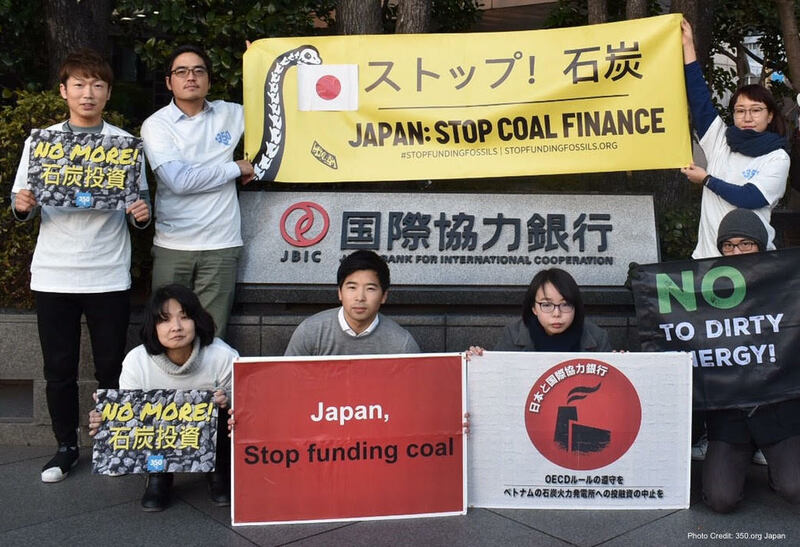 Japan is currently one of the largest funders of overseas coal plants and is the largest provider of public finance for fossil fuels. Globally, Japan’s public finance institutions are considering financing several coal-fired power plants in countries like Indonesia, Botswana and Kosovo. If Japan finances these new plants, it will undermine the goals of the Paris Agreement. In addition, we are concerned that the Van Phong 1 Coal Power Plant Project violates the Japanese government’s commitment under the OECD Sector Understanding on Export Credits for Coal-Fired Electricity Generation. We urge the Japanese government to reject financing for the Van Phong 1 Coal Power Plant Project. We are counting on you. The Japanese government is one of the world’s largest funders of coal. While coal has fallen out of favor around the world, the Japanese government has instead doubled down on its support for this dirty technology, with disastrous consequences for the climate. But, we have a chance to change this. Right now, the Japanese government is considering financing for the Van Phong 1 Coal Power Plant in Vietnam and is set to make a decision within the next few weeks. That’s where you come in. Please send a message urging the Japanese government to reject financing for the Van Phong 1 project. The Van Phong 1 project undermines the government’s stated commitment to take more robust action on climate change and violates the Japanese government’s commitment under the OECD Sector Understanding on Export Credits for Coal-Fired Electricity Generation. On top of that, communities in Vietnam are concerned that coal ash from the project and discharges of cooling water will harm the environment and public health. They are also concerned that the project would undermine the livelihoods of farmers and nearby fisherfolk. Please take a moment and urge the Japanese government to reject Van Phong 1. With your help, we can put an end to coal.